After Only Five Months The Cape’s Newest Brewery (Naukabout Brewery & Taproom) Expands. Tripling The Outdoor Beer Garden Space Just In Time For Labor Day’s NauktoberFest Celebration With The Wahlburgers Food Truck. 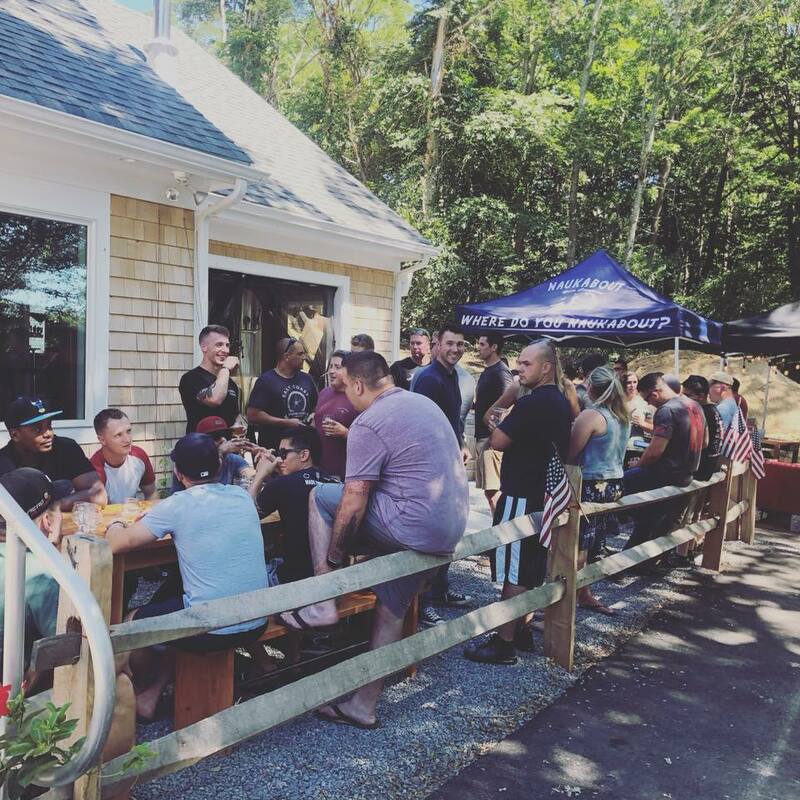 The Naukabout Brewery & Taproom opened to the public on March 29th, 2018 in Mashpee, MA on Cape Cod. After just five months in operation, Naukabout is expanding their lakeside beer garden space. Adding over 4,000 new square feet of patio they have more than tripled their outdoor space. Nestled alongside Lake Mashpee and the Mashpee River the new patio offers beer lovers a unique location to try one of the small-batch, hop-forward beers brewed right there in Mashpee. 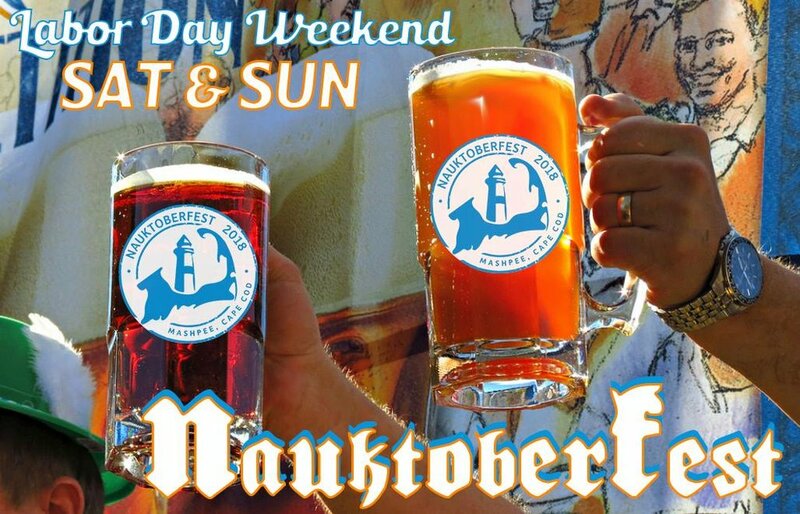 To celebrate the opening of the new beer garden Naukabout is hosting NauktoberFest this Labor Day weekend on Saturday 9/1 & Sunday 9/2 (11am-10pm). While Oktoberfest traditionally starts in late September, Nauktoberfest allows visitors and locals to partake in both the Summer and Harvest Season of Cape Cod. Joining the fun on Saturday is local favorite the Wahlburgers food truck; who will be serving up their classic burgers. On Sunday, celebrity Chef Jay Powell will be serving up some traditional Oktoberfest foods, kettle corn, and cotton candy. Naukabout will be releasing three brand new beers (Fest, Pumpkin and a new New England IPA). Games, activities and contests are lined up throughout the weekend: stein hoisting, grain sack toss, face painting, barrel rolling, stein hoisting, sausage toss and a costume/crazy hair contests (sign-ups on naukabout.com or at the taproom). With four separate terraced patio areas, visitors get the chance to experience the historic property from a variety of viewpoints. The Nauktoberfest event not only celebrates the completion of the beer garden expansion, but it kicks off a new phase for the Naukabout Brewery & Taproom. 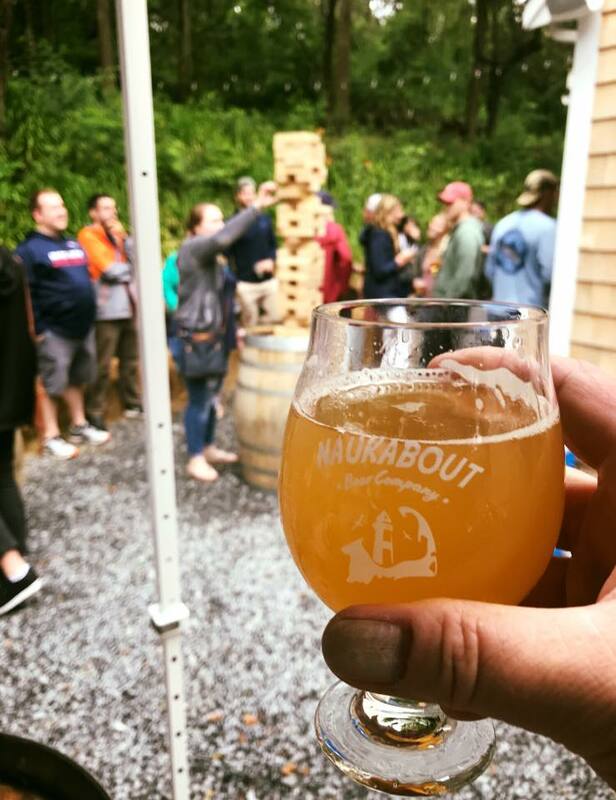 From football and baseball viewing parties to private events, concerts, fundraisers and other gatherings…Naukabout is excited to share their new space with the local community and to work with beer lovers who are looking for a place to host or attend a unique craft beer-focused event.